the cleanburn wood burning model in a blue-black enamel. The Standard model does not have glass in the door - the cleanburn stove does have a glass door with lattice work on the glass. is quite deep taking 400mm length logs. The F602 is a narrow stove and will fit into smaller fire place openings. 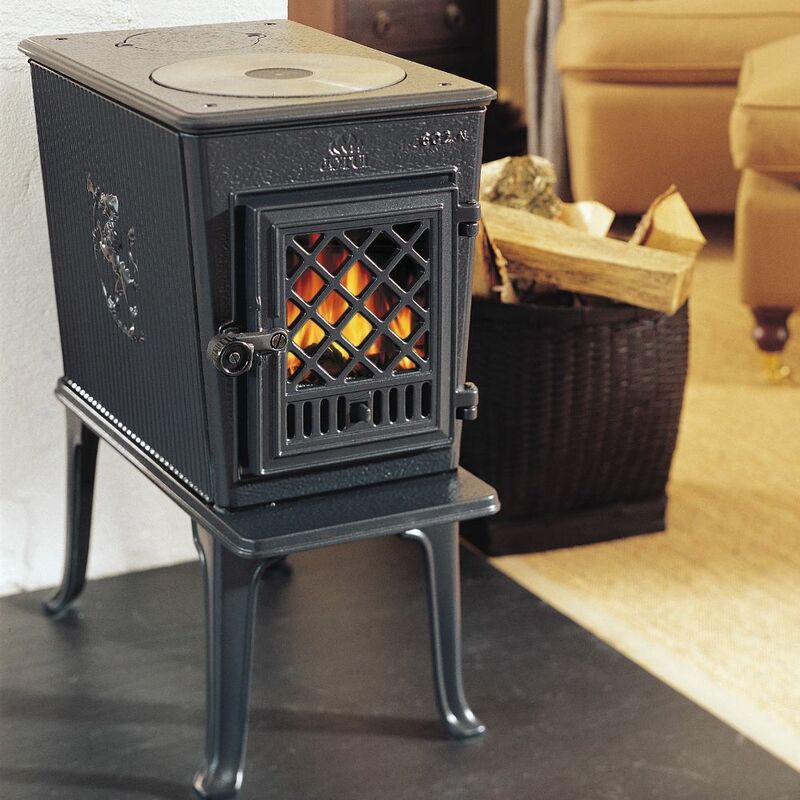 Stove expert replied: Nice review for this stove. Stove expert replied: Burning lots of paper can be problematic with chimney fires so be extra vigilant, undertake periods of fast burn regularly, have the flue swept at least twice every burning season and use only dry seasoned wood. Closed appliances should not have coal on them, smokeless unless stated. Coal has a longer flame than smokeless and internal components are exposed to higher than normal working temperatures because of this. 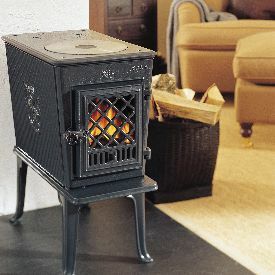 Stove expert replied: Sounds a good all round stove, supplying heat and cooking can't be bad! Stove expert replied: The proof of a good installation which includes a lined system speaks volumes in the above feedback!